Turkey is a major part of Thanksgiving but the same traditional menu every year is monotonous, boring, unexcitable and usually not vegetarian-friendly. Imagine yourself a vegetarian who have to bring your own food so you have something to eat at a dinner party you were invited to. Tragic isn't it? But vegetarian or not, there is no law that says you can't avert from tradition. This year, we're upholding the vegetarians and sparing the Turkeys (which is in shortage FYI) by going meatless and adding exotic dishes to spice up the menu. This is not your Grandma's traditional Thanksgiving menu! 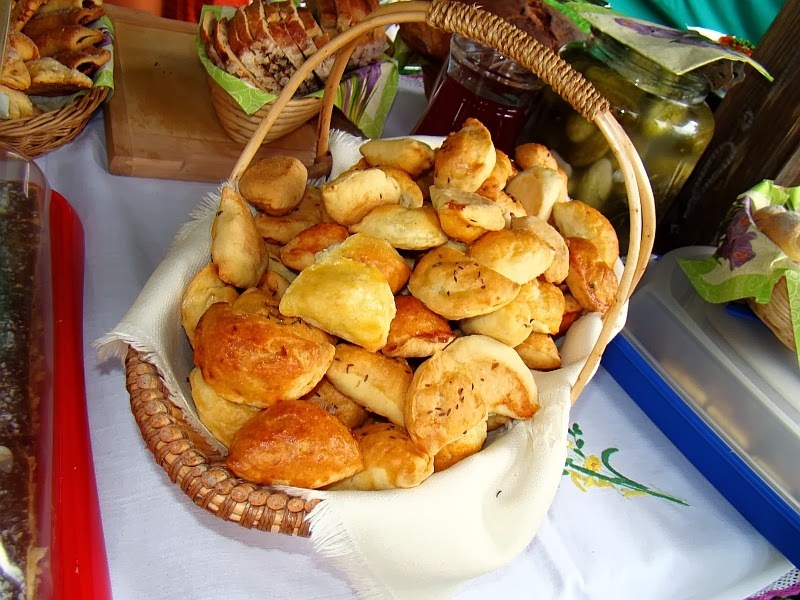 Potato Pierogi - This is a traditional Polish dish. My husband is part-Polish. What better way to celebrate than to incorporate this dish to give our daughter a glimpse into his heritage. It's also his favorite so it's a win! 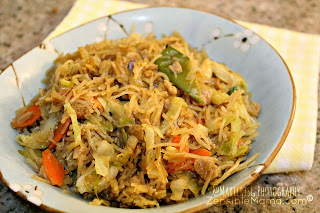 Pancit - This is a traditional Philippine Noodle dish. I'm Filipino and it's a family favorite. It's also a dish that is served on special occasions. So why not? Let's add that to the mix! Vegetable Biryani - One of India's popular dish that I personally love. A great addition to a very unique menu. Great for rice lovers! 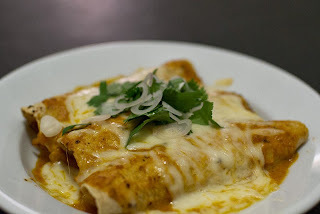 Vegetarian Enchilada - Why not? Let's cover all the bases. It's a great back-up dish for when the Eggplant Lasagna don't turn out the way we want it. 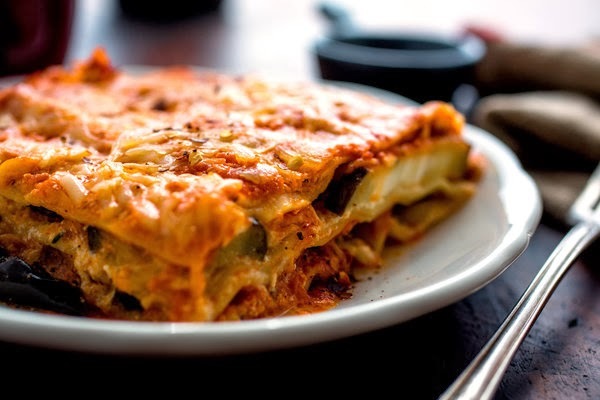 Eggplant Lasagna - We can't forget Italian. Eggplant lasagna is a great choice. It's unique and taste as good as the meat recipe. Stir Fry Green Beans with Ginger and Onions - This is a favorite recipe which I have created out of my love for Green Beans! (Will try to share recipe soon). And yes, we need more veggies! 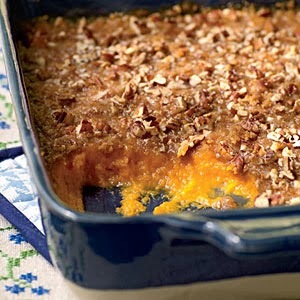 Sweet Potato Casserole - A great alternative to the usual mashed potatoes and good accompaniment to the pumpkin pie. Yum! 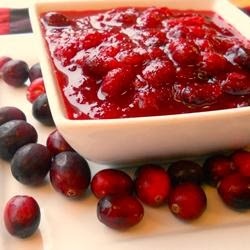 Cranberry Sauce - Thanksgiving won't be complete in this household without this sauce. My husband have his own special recipe. It adds a contrast to the palate. Some tangy-ness is good. 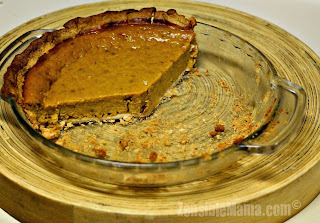 Nothing completes Thanksgiving with a dessert like Pumpkin pie! Here are 10 ways to cook 'em. Tofurky Roast - If you must really have some "Turkey". This is my hubby's go-to brand for some of his "meat" substitutes. Nasoya Organic Extra Firm Tofu - Our top choice meat substitute. Morningstar Farms Crumbles - Great substitute for dishes needing ground meat. 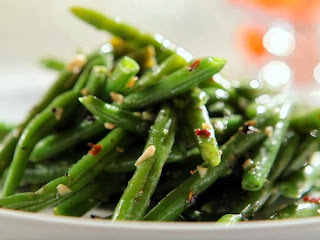 Along with other side dishes we have in store, I think this is a menu fit for a great feast! What do you think? I say, Gobble, Gobble!